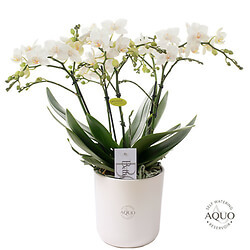 The Bellissimo combines the beauty of the orchid with the lush character of an exclusive bouquet of flowers. This wonderful Italian beauty composes the contest with a bouquet of splendor and glory. With more than a hundred small flowers, the Bellissimo is an ideal present.